Since becoming operational last summer, the Refugee Centre at Concordia has assisted approximately 100 refugees and immigrants looking to start anew in Montreal, according to the centre’s director Abdulla Daoud. “They’re eager to work and restart their lives,” said Daoud, who is currently the only full-time staff member. Knowing how to file taxes, which companies to invest in, and which university to choose are some of the education and skills the Refugee Centre wants to provide, according to Daoud. “All of these are basic things that we see as everyday life that are just foreign to [refugees] that come here because it’s just not the same system,” he said. The non-profit organization has experienced a few hiccups in its early days, Daoud said, as it continues negotiations for the rent of its new space and hiring more full-time staff members. The new office is on the fourth floor of the FG building located at 1610 Ste. Catherine St. W. on Concordia’s downtown campus. The space is under renovations right now, according to Daoud. He said rent will be approximately $5,000 a month. The Centre, he said, tried to get a space through the university but the administration said nothing was available. 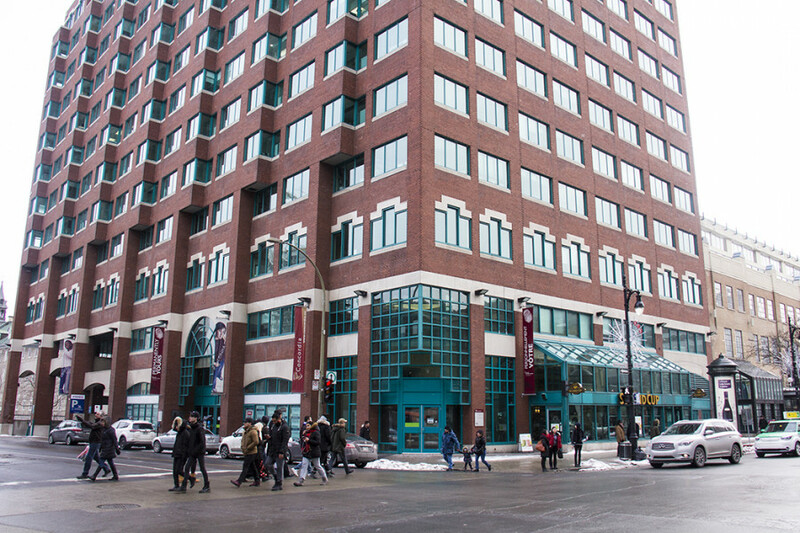 Having a space that is separate from the university offsets the costs of paying rent in autonomy, said Rami Yahia, one of the centre’s eight governors and the Concordia Student Union Internal Affairs Coordinator. “It allows us more freedom to tackle the real issues,” Yahia said, citing the Quebec Public Interest Research Group at Concordia and the Centre for Gender Advocacy—two other fee-levy student groups—as models to follow. In the CSU General Elections last March, students voted in favour of a referendum asking: “Do you agree to pay 37 cents per credit indexed to inflation in accordance with the Consumer Price Index of Canada, to the Canadian Refugee Initiative, effective Fall 2016?” The final vote tally was 1454 in favour, 431 against, and 338 abstentions. On its website—therefugeecentre.org—there is a tentative percentage breakdown of where student fees will go. Twenty-two per cent of its budget, for instance, will be put into a business development centre while ten per cent will be allocated towards academic counseling, a legal aid clinic, and a bursary and scholarship program. The business development centre has not launched yet, but Daoud said the goal is to create training programs and workshops to prepare refugees for the different economic system. The bursary program will be for refugees who come straight to Montreal from a campsite, he added, while the scholarships will be distributed based on academic merit. Twenty-three per cent of the budget is for internships, salary, and benefits. Daoud explained that they’re aiming to hire ten full-time employees for the year. Full financial statements will be released at the end of their fiscal year in August, according to their website. Daoud said that they’re planning to have an Annual General Meeting with their members in April, with the exact date yet to be announced. The entire staff, including volunteers, will comprise entirely of Concordia students or alumni, he added. The Centre tries to find as many trilingual students as possible, Daoud explained, because many refugees come from countries where English or French are not as widely spoken. It’s not however a requirement to get involved. For Daoud, working for the Refugee Centre has a personal significance. His parents were refugees. Looking back on their transition into Canada, Daoud said they made mistakes because of cultural and systemic differences. “[The Refugee Centre] is one of these things that I wish we’d had when we came,” he said.